In our Mayfair paradise, the party starts at 6 pm, when our doors open – early evening cocktails and dinner is available. 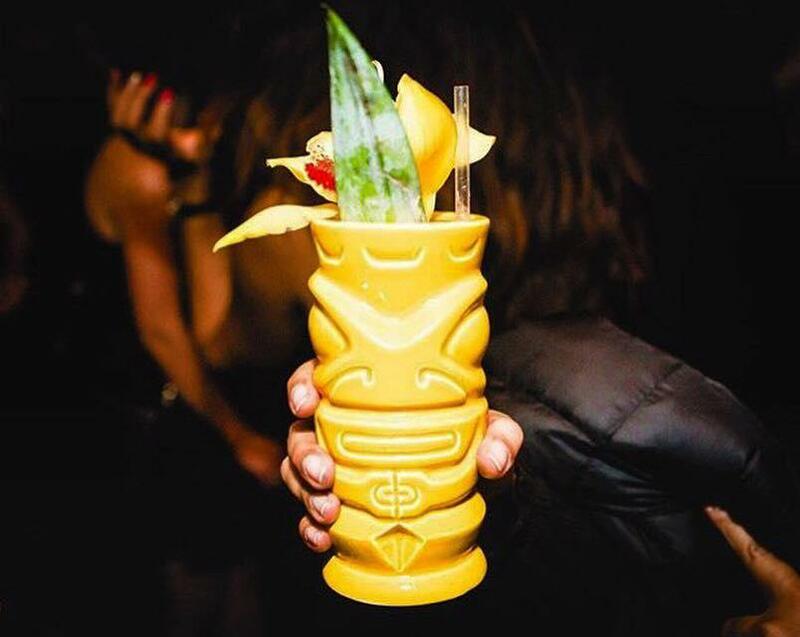 The club bursts into life at 10 pm; a night-time hotspot open Monday-Saturday until 3 am, we have late night party tables and lounge tables available to reserve to make the most of your night in our tropical heaven. Our tropical Lani Lounge is open from 6 pm daily, with tables being available for anyone to enjoy some mouth-watering cocktails and food! We have a delicious Pan Asian menu available in our Lounge bar designed to accompany our Tropical Tiki cocktail menu. Our chefs have mastered this style of cuisine to bring you the best dishes the Polynesian Pop culture has to offer. Perfect for a first date in paradise, our small plates menu is available from 6 pm until 10 pm, Monday to Saturday. 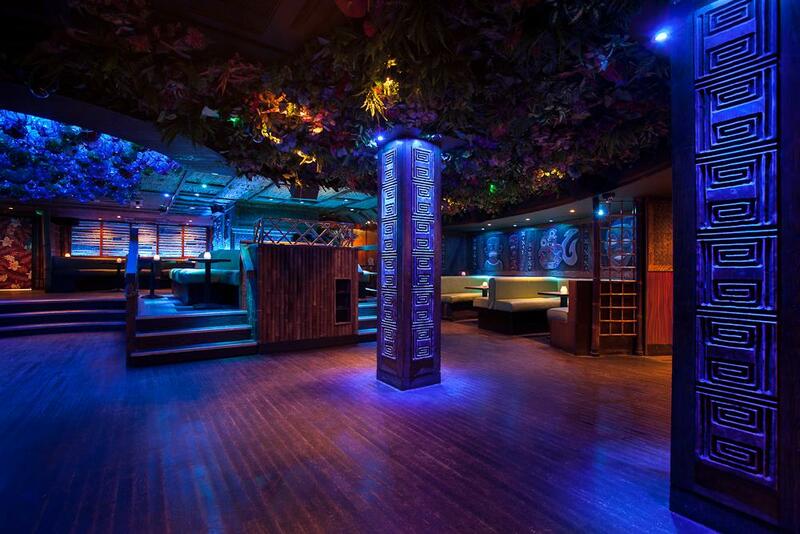 The Aloha party room is made up of wooden carvings for the wall finishes, and a dance floor effect made from multicoloured fisherman’s balls. 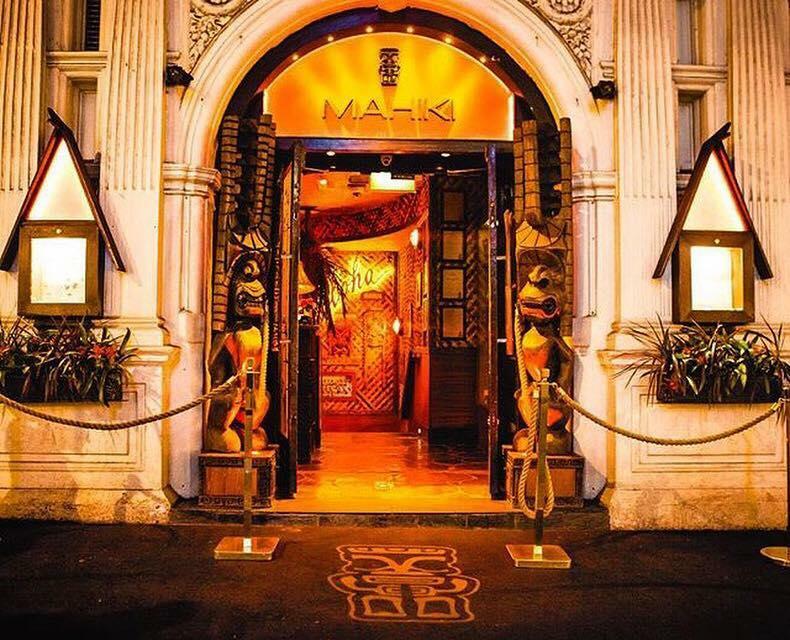 It represents the underworld of Mahiki. It is a darker space than the Lani Lounge; with much more of a mischievous feel. Open from 10.30pm this is the space where the party happens. 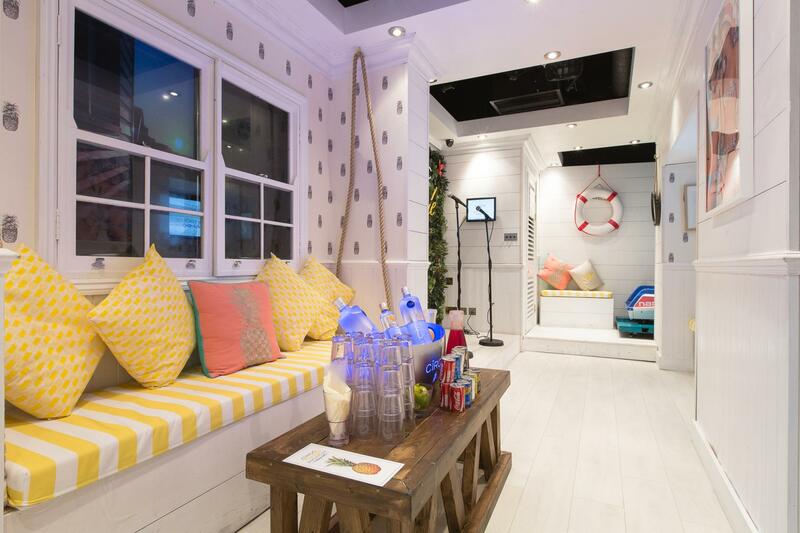 Escape into tropical luxury with our Ciroc Pineapple Beach House. 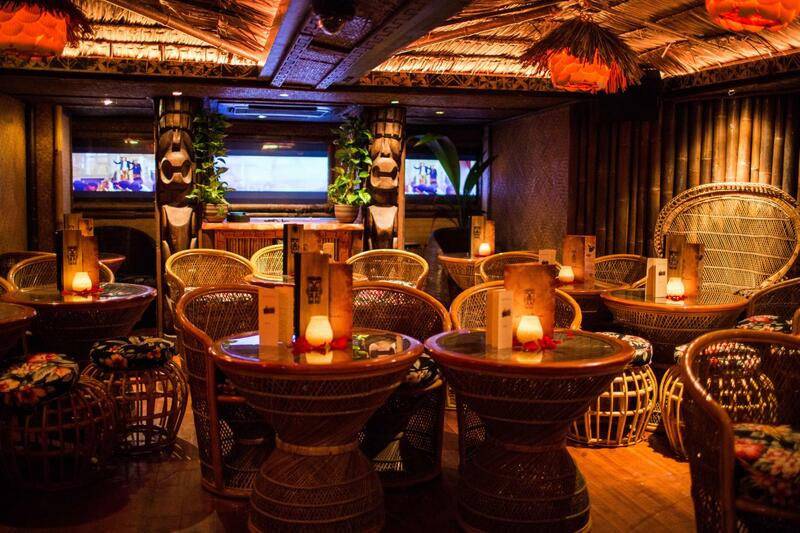 Transport yourself and up to 25 fabulous friends into Mahiki’s twist on the New York Hampton’s. Enjoy light bites from our Surf Shack Diner or delicious cocktails made by our award-winning team. Rock out to your favourite hits on the Lucky Voice Karaoke or for the more playful of you, you can go head to head with a friend on our vintage arcade game.